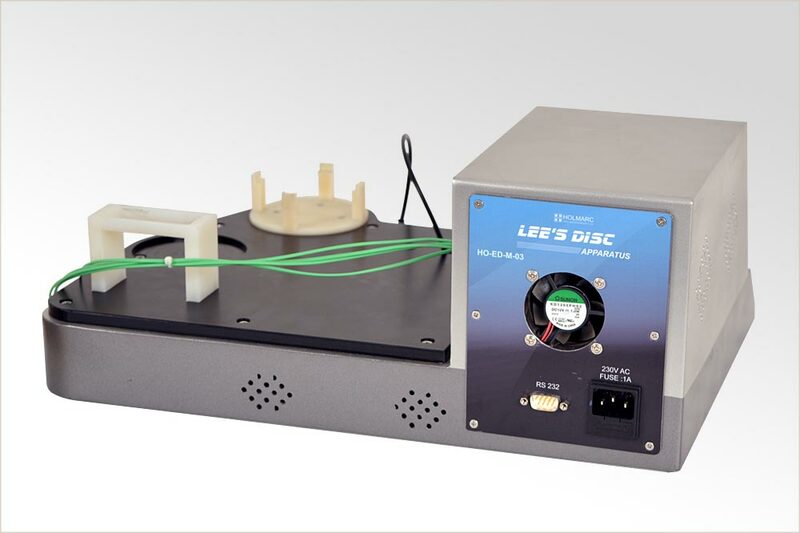 Holmarc's Lee's Disc Apparatus (Model : HOAE-LD18) is designed for the measurement of thermal conductivity in bad conductors. 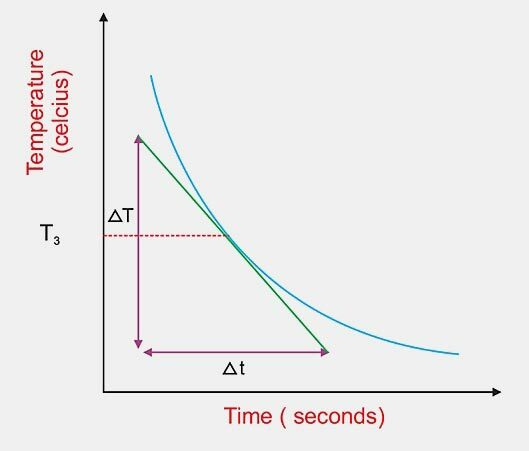 Thermal conductivity is the property of a material that indicates its ability to conduct heat. Conduction takes place if there exists a temperature gradient in a solid (or stationary fluid) medium. 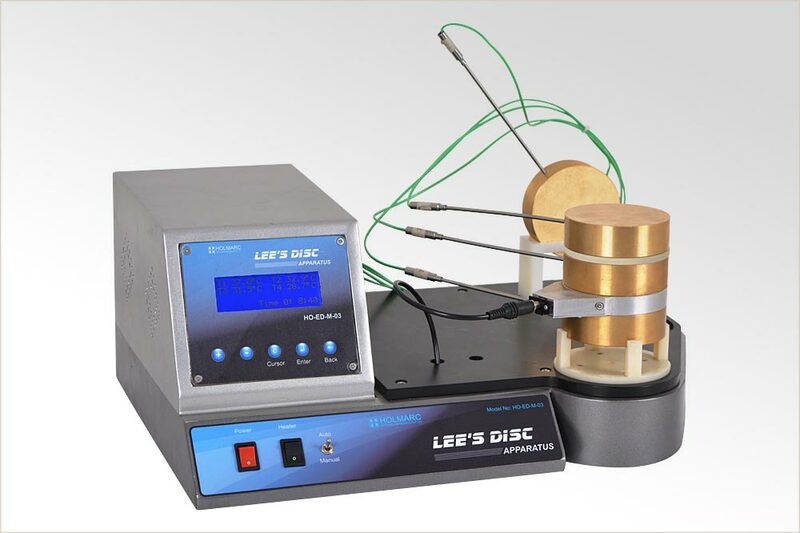 Lee's Disc Apparatus comprises of a brass disc resting on another slab of the same dimension with special heating coil. 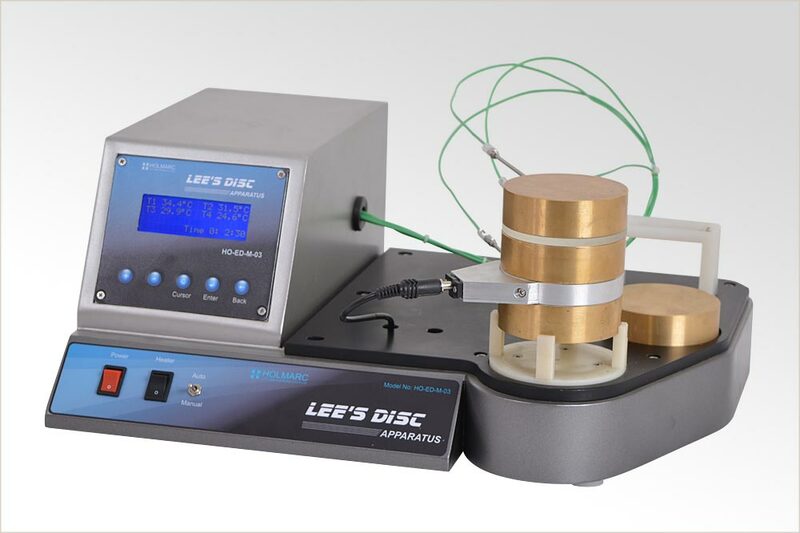 Both metallic discs have radial holes for the sensitive thermistors. Material under test is placed in between two discs. The heater is turned on and the apparatus is left idle until the temperature gets stabilized. 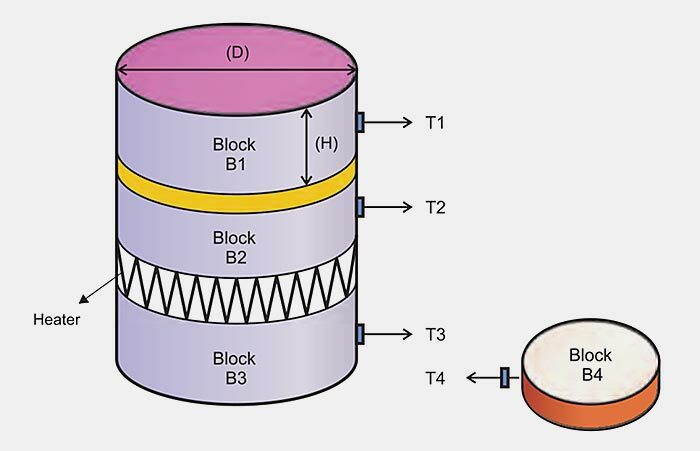 At this point the heat energy passing through the heat sample will be exactly equal to the heat flowing out of the lower block. 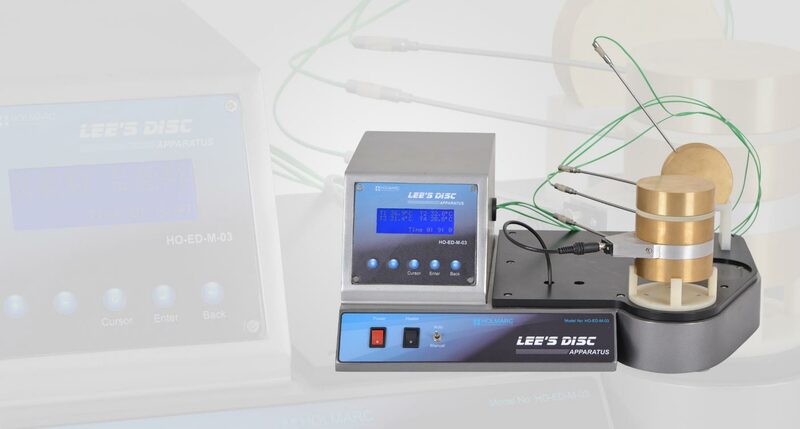 Maximum temperature the disc can achieve during the experiment is around 50 degree Celsius to make it safe for handling with even bare hands. Similarly, operating voltage for heating coil sandwiched between the discs is fixed as 50 V for safety. The temperature sensors used are highly sensitive and accurate with least count as low as 0.2 degree Celsius. Front panel is equipped with digital display and keyboard for user friendly operation. This instrument provides the facility for performing experiments using different kinds of sample materials. The front panel includes LCD display and keyboard for readouts and settings.